The simple fact is we are not building enough properties. If the supply of new properties is limited and demand continues to soar with heightened divorce rates, i.e. one household becoming two, people living longer and continued immigration, this means the values of those existing properties continues to remain high and out of reach for a lot of people, especially the blue collar working families of Canterbury. 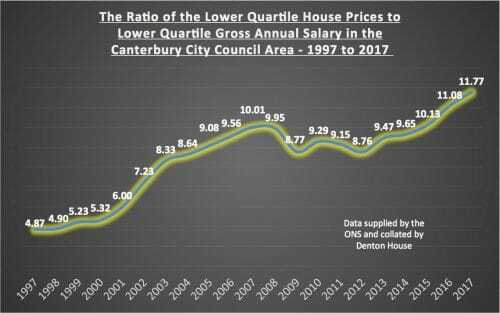 Looking at some recent statistics released by the Government, the ratio of the lower quartile house prices to lower quartile gross annual salaries in Canterbury City Council has hit 11.77 to 1. What does that mean exactly and why does it matter to Canterbury landlords and homeowners? If we ordered every property in the Canterbury City Council area by the value of those properties, the average value of the lower quartile properties (i.e. lowest 25%) would be £230,000. If we then did the same, and ordered everyone’s salary in the same council area, the average of the lowest quartile (lowest 25%), the average salary of the lowest 25% is £19,546 pa, thus dividing one with the other, we get the ratio of 11.77 to 1. 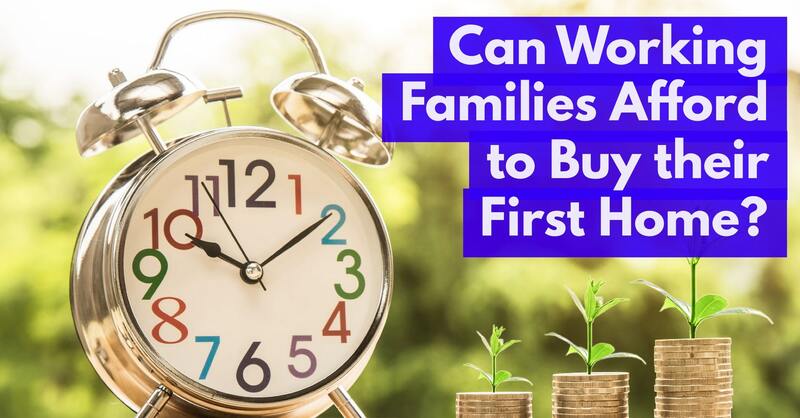 Assuming there is one wage earner in the house, the chances of a Canterbury working family being able to afford to buy their own home, when it’s just under twelve times their annual salary, is very slim indeed. The existing affordability crisis of people wanting to buy their own home is the unavoidable outcome of the decade on decade failure to build enough homes to keep up with demand. Nevertheless, improving affordability is not a case of just constructing more homes. Canterbury City Council needs to ensure more properties are not only built, but built in the right locations and of the right type and at the right price to ensure the needs of these lower income working families are met, because at the moment, they presently have few options apart from the private rental sector. Many of the lower quartile working class families were given a lifeline to buy their own homes in middle 2000’s, with 100% mortgages, but the with the credit crunch in 2009, that rug (of 100% mortgages) was rudely pulled from under their feet. You see it is cheaper to buy than rent ... it’s the finding of the 5% deposit that is the challenging issue for these Canterbury working class families. So unless the Government allow 100% mortgages back, the fact is, demand for rental properties will outstrip supply. In the long term, to alleviate that, I would suggest the Canterbury community hold their local politicians at Canterbury City Council to account for the actions they could take to ensure the affordability of housing and the extent to which they work with private developers and housing associations and aggressively use the planning tools at their disposal to safeguard the local community getting the new households we need. Canterbury City Council could make certain parcels of residential building land for private rented development only, eliminating the opportunity of the land being bought to develop large executive homes, which do not solve the current problem. Yet in the short term, all this means is demand for rental properties will continue to grow, keeping Canterbury house prices high and Canterbury rents high.